This article is a collaboration between Thomas Baekdal and the wonderful Ana Milicevic, principal of Sparrow Advisers, a boutique consultancy that helps companies scale, build relevant products, enter new markets, and navigate the digital world. If you are not following her already, you are missing out! It's not a secret that the legacy media companies have an innovation problem. We hear about it all the time. We see their innovation reports (when they leak), and we hear about their frustration of not being able to make a difference in the digital world. The reason why publishers are struggling with innovation is a combination of many things, so in this article, we will take a step back and draw a path to what we need to do. Before we start though, it's important to understand that it's your product that defines the foundation of any innovation. If you don't have a product, you don't have anything else. Think about the history of Coca Cola. Why did they manage to become such a huge success? Well, back in Atlanta in 1886 there was a new trend for flavored carbonated water, and pharmacist John Pemberton was experimenting with different types, called sirups. One of these was Coca Cola (or what became it), and he brought it over to a local pharmacy to see how people would react to it. The short story was that people liked it, a lot, and from there Coca Cola transformed into the $44 billion company that it is today. My point is that the success of Coca Cola started with that initial product. Everything else came afterwards. The marketing, the distribution channels, the packaging, the many variations, the other business ventures... none of that would have been possible without that initial sirup and its success. In other words, the product forms the basis of all innovation, and everything else is just layers upon layers on top of it. Mind you, many of these layers are very important too. For instance, one of the first steps was to move Coca Cola out of the pharmacies and into the soda stands. That was a pretty fundamental step, which completely transformed how it was sold. The media industry must think about products and differentiation in the same way. We will never be able to 'win the future' until we have a basic product that people absolutely love. Everything else is secondary. The problem we have today, however, is that our product is no longer relevant, and thus we no longer have a foundation for our media companies. Instead, all that's left of the media are all these extra layers that don't really work because we have nothing underneath them to make it all work. These extra layers might be just as important as the soda fountains, but without the base product, which in our case is the value, interest and focus of our journalism, we don't have anything to work with. So, how great is our journalism? 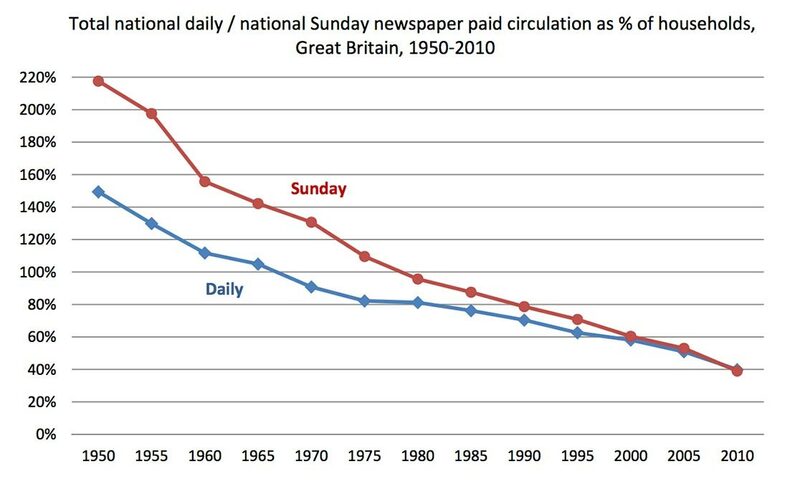 As you can see, in the UK in the 1950s, people subscribed to an average of two Sunday newspapers per household, whereas today only 40% read one. Similar trends are appearing world-wide. Obviously, the reason why this happened was because of TV, and how people got their information and spent their time via other channels. And of course, now that we have the internet, this decline will and has declined even faster, because now we have even more choice. What used to be time devoted to consuming news content is increasingly overall entertainment time. Thus, today's journalists aren't solely competing with coverage from other newsrooms, but also with sports, entertainment, professional development, friends and family etc for their audience's attention. And this is the key. The reason why newspapers have been failing is because of choice. We now how more choice, and newspapers and all these other channels are increasingly considered to not be the 'best choice'. It's not the internet, TV, Craigslist, Google or Facebook that is killing the industry. It's choice. We are losing 'people's choice'. The reason why this is happening is because of two things. Partly because of the delivery, and partly because of the content that we offer. A few weeks ago I had a discussion about newspapers versus Craigslist, and how many people in the media believe that Craigslist 'stole' their revenue. But think about the choice you offer to people. In the past, if a person wanted to buy a used bicycle, he would only be able to look up the classified listing in his local newspaper, and he had to limit his choice to only the bicycles sold in his local city. He couldn't find any of the bicycles for sale in the neighboring cities, because that would require him to go out and buy the local newspaper from each city. Similarly, if you wanted to sell your bicycle you'd need to list it in your local paper, a regional one, and perhaps even a national one if you wanted to make sure you got through to the most potential buyers, paying a listing fee to each paper or classified magazine along the way. In the age of the internet (and easy searches) this is a hugely impractical concept. Why would someone who wanted to sell a bicycle put it up for sale in his local newspaper, when he could (for the same price) put it up for sale for everyone to see? Why would someone who wanted to buy a bicycle limit himself to only those in his local paper? So what happened all over the world was that new specialized newspapers and channels started to emerge. In some countries, local newspapers lost their classified market long before the internet was even a thing. And they lost it because they were the lesser choice. Or, in other words. They forgot to innovate. They forgot to have a product that would be valuable to their readers. This change happened in different ways in different countries. In the US, because of the size of the country, this change happened more gradually and really accelerated with more widespread inherent adoption. But the concept is the same. The newspaper has lost because it failed to be the better choice. A similar change is happening in advertising today. Google is offering to reach real people in the exact moment when they are specifically looking for something, or when they are doing something specifically targeting their interest, like when you do a Google Search and you search for bicycle seats, you will see ads for just that. Again, this is a far superior way to think about advertising because it's targeted, it's based on people's intent, and it perfectly fits this exact moment. The newspapers failed because they didn't innovate their advertising at all. Newspaper advertising is largely still the same as it was in the 1960s. You failed to innovate your core product. This is also true when we look at the content. The main reason why newspapers are failing today is because the articles were never really your core product. Newspapers are not about the articles, it's about the packaging of news. This was what people paid for. People paid newspapers to provide them with a daily newsfeed of random, curated content, so that they could connect and keep up-to-date with the world around them. Today, of course, we have a better choice for this too. We have Facebook. On Facebook people can pick and choose what exactly it is that they want to see in their personalized NewsFeed. This includes content from sources that is far more personal (like your friends and family), or highly specific topics of interest that would never show up in a regular newspapers. So, if you think about the newspapers as the NewsFeed of the 1960s, and then you compare that to what we have today on Facebook. It's pretty obvious why most people now get their news via Facebook than via the newspapers. Again, we failed to innovate, and because of that we became the lesser choice. This leaves us with the content itself. Because what still sets newspapers apart is the content that we create. But here too we have a problem. Because we never really focused on the quality of each story, newspapers are routinely considered the shallow destination, lacking authenticity and a certain hipness that other, more recent media have claimed. Instead, we have bloggers and YouTubers, who create far superior content every single day. This post has rather measly engagement numbers: only 43 likes and one comment, and why would it perform any better? Why would people want to read this type of content from a big news outlet like the LA Times? It's just a standard recipe. It's not that special or 'perfect'. But more to the point, this recipe doesn't inspire people, because it's not presented in a way that would motivate people to try out something new. Instead, it's just pushing out random content for a not-very-specific audience, without ever thinking about how this is supposed to influence people. You see the difference? The LA Times article is boring and nobody really cares about it. Perhaps it was relevant in pre-internet days when content like this was challenging to find or lived only in select cookbooks. But today it's as anachronous as black & white TV, silent movies, and unless something changes rapidly, quite possibly the very news outlet that published it in the first place. It has all the things that make cooking food amazing. It has an amazing result. It has great personality from the presenters, that really show how much fun they have doing this. And it inspires and encourages people to experiment for themselves, because you are enticed to try something different. And they have done this with a ton of different types of food, and each video is slightly better than the previous one. Do you see the difference in the quality of the content? Do you see the difference in how much effort they put into it. Do you see the difference in choice. If I ask you to either follow the LA Times to get a basic recipe delivered merely as a list of ingredients, or to follow Donal Skehan and his passion for food, which one would you choose? The answer is simple. 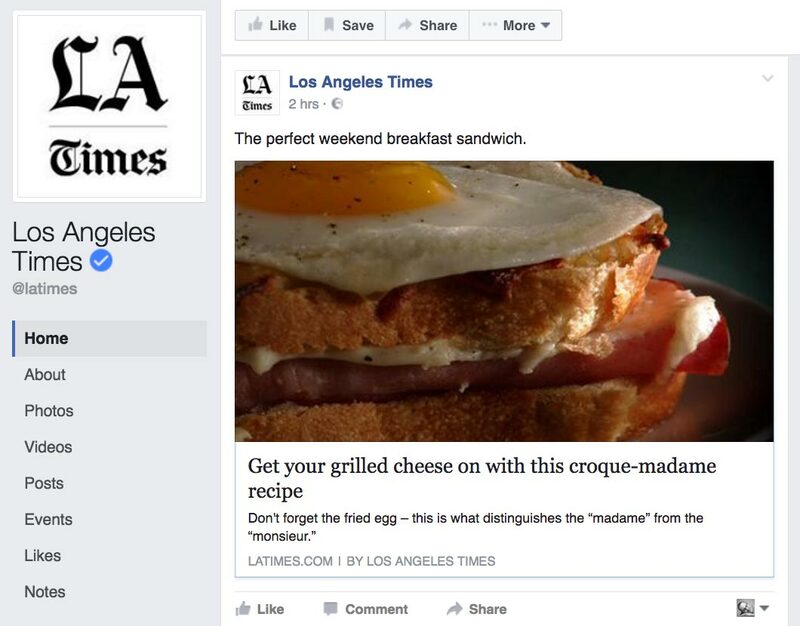 Why would anyone follow the LA Times? It's the lesser choice. And again, the reason is that LA Times still think they merely exist to publish a random NewsFeed for people in the 1960s. For the past 70 years, they have completely failed to innovate how this content is made ... and why it's made. Every single time we talk about innovation in the media industry, what you should really be talking about instead is 'choice'. If your basic product is not the better choice, you can't win no matter how many fancy things you try to put on top of it. You have to be the better choice! So let's talk about how you become the better choice. The first question deals with the very purpose of a newspaper. Remember, the purpose of a newspaper is to provide a daily news feed of random stories often targeting a mass market. Can you keep doing this in the future? No, obviously not. 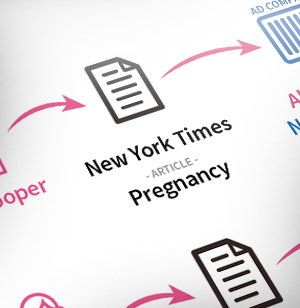 The news, like other forms of media, is transitioning from a bundle (the daily paper) to an on-demand model (users interact with topics they like and as a result are recommended similar content). This transition requires a fundamental re-invention of how news content is monetized: the same monetization options that are good for listicles of the 25 cutest kittens or celebrity interviews will not fit a piece of investigative journalism. Every single trend clearly illustrates that business as usual isn't a profitable market of the future. Yet this somehow still seems to be quite a shock for most of the industry. This is partly, as described above, because Facebook has become the better choice, with multiple channels, better selection, more engagement, and better connections. In other words, Facebook eliminated most of the friction points that people had with old media. This doesn't mean that Facebook is perfect, though. Far from it. Facebook has a lot of friction points of its own. Because of its focus on low-intent micro-moments, most of what you see on Facebook is kind of shallow. It's not a surprise, for instance, that viral news sites perform 20 times better than hard news sites. Again, it has to do with the choice of that moment. If you are just having a break, what would you rather read about? A hard news story that isn't really going into that much detail, or a short video that is fun to see? This is what Facebook is all about, and they are brilliant at it (along with Snapchat et al). When you are just having break, the Facebook NewsFeed, with all its advantages, is the superior choice. But it's also a niche, because what happens when people aren't on a break, or when they want something more specific during their breaks? For instance, during the past week if you wanted to know something about the election, the better choice would not be to go to Facebook to see if you happen to come across some random post that may or may not be focusing on that. The better choice would be to turn to Washington Post or The New York Times. When they stopped posting random stories and instead focused their efforts in investigative reporting, they very quickly became the better choice for that specific type of moment. And this is the key to thinking about innovation today. We have to be the better choice, but we don't just have a single moment anymore. We have many different moments, and within each moment, we need to innovate and focus our efforts so that we become the only place to go. This is how you win in this new world abundance. You find your moment, and you 'own it' by innovating the heck out of it. You can, of course, just try to build on top of other people's platforms. For instance, newspapers could just build on top of Facebook. But if you do this, you still have to innovate within that moment. But often, that isn't really the best choice. Facebook, for instance, is very quickly moving towards low-intent video (no-sound, remember?) which is perfect for when people are just having a quick moment. But that isn't a very good platform for news. You even see examples like those on AJ+, who is producing really striking and highly important videos, but there is no monetization in it. They have a ton of engagement, but no income. So, Facebook becomes their marketing channel. And even when Facebook is now starting to talk about pre-roll advertising on videos, just think about what that would mean. Why would people watch a 30 second pre-roll video ad (with no sound), before they watch your 60 second news video (with no sound). So, we need a different form of innovation, and we need to design for a different type of moment. Can you be the news feed outside Facebook? One of the things that many people seem to believe is that there is only room for a few really, really big channels. And this certainly seems to be the case when you look at massive channels such as Google, Twitter, Snapchat or Facebook who are absolutely dominating the way we connect with each other, discover content, and engage with media. But the reason why they are big, is because they are not creators of anything. Their primary roles are as platforms. They are like supermarkets who aggregate products from many different producers (and yes, sometimes, have white labeled versions of products themselves). Google, et all are more akin to Walmart (US), Tesco (UK) or Lidl (Germany) than they are to traditional media houses. But when you stop looking at the platforms and you start looking at the products (the creators), you very quickly realize that the market has room for thousands and thousands of different companies. This is the key to thinking about media outside of Facebook. Facebook is the supermarket, and it's absolutely dominating this space. There is a huge market outside of it for more specialized news feeds, if they can solve a more specific need, or if we can design a different type of moment. To extend our supermarket metaphor, if Facebook & other platforms are general stores, there should also be plenty of room for shops that sell only cheese, or only fish. But specialty stores also need to think about sourcing, monetization, staffing, training, customer experience etc differently than a general store does. But to do this, we have to question how we think about these destinations, and how they will fit into people's lives. The simplest example of this is just to look at the financial newspapers. Almost none of them really rely on Facebook for distribution, because that type of 'snacking' moment isn't very good for that type of need. Instead, tools like The Bloomberg Terminal, or now startups like Money.net (as explained by the New York Times) is a far better destination for that type of content, for that specific moment, and for this specific audience. But you can say the same about everything else. If you could take people out of the low-intent snacking mode (when people are just having a break), and into the high-intent, high-need mode, there are a lot of opportunities for new ideas, new innovation, new platforms and new destinations. The key to this, however, is that you need to be really good at differentiating your content from any other random content that can be found on Facebook. So, if you want to focus on lifestyle, it's not good enough to just write random stories about any little thing you might find, because that is exactly what everyone will find on Facebook. So what can you do that isn't the same as what people would find on Facebook? Well, for one thing, you need to drive a purpose. That is, the focus on your news feed is to solve a very specific and targeted need, which you can invite people to be a part of, and where the stream of stories you provide help people fulfill that need. So, for a lifestyle news feed, that goal could have something to do with exercise, or food, or solving stress/anxieties, or making your home amazing to live in. And the goal of your more specific news feed is then to keep people inspired and motivated, and drive and encourage this community through your journalism and editorial focus. The problem with doing this today is that we don't have a destination for it, so we have to invent one. You can't do this on Facebook, because if you do, your stories will be buried among thousands of other posts about random things, and that would mean that your content would feel random as well. So, we need to create a new destination, but in order to do that we need to make our content so incredibly valuable that people would agree to use it. Our favorite example of this approach done exceptionally well is Skift.com, which has quickly become one of the absolute best destinations for executives in the travelling industry. Like the financial newspapers, Facebook is not a good platform for them, so they had to come up with their own. The Skift Daily Newsletter provides breaking news, analysis and highlights about the global travel industry to your inbox each morning, six days a week. The Skift Weekly Review Newsletter delivers the week's top stories about the global travel industry to your inbox every Saturday. The Skift Business Traveler Newsletter is sent once a week, on Monday, summarizing top news and information that will help you be a smarter business traveler. 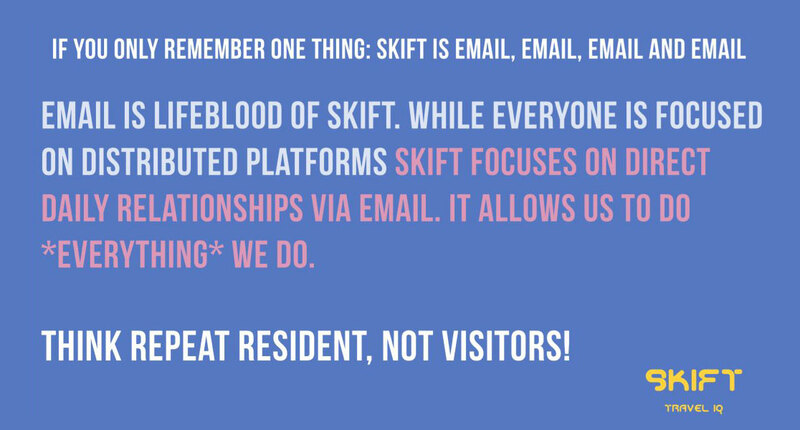 The Skift Meetings Innovation Report is sent once a week, on Wednesday, with updates on the future of meetings, conventions and other events, and will cover disruptive strategies to improve networking and knowledge sharing in the sector. The Skift Corporate Travel Innovation Report is sent once a week, on Thursday, with updates on the future of corporate travel, the big fault lines of disruption for the travel managers and buyers, and the changing business traveler habits that are upending how corporate travel is packaged, bought and sold. The Chefs+Tech Newsletter is sent once a week, on Wednesday, with updates on news and ideas at the intersection of chefs and restaurants, digital and social technology. Like our travel coverage, Chefs+Tech looks at changing consumer behavior in the industry - in this case the business of dining out. It's the same with their podcasts. Every week, we sit down with creatives, executives and entrepreneurs from across the travel industry to discuss their insights and perspectives on the how and why of travelers' habits, industry patterns and the seismic changes happening to each. And this is another great destination, especially for people in that industry, who is probably spending a lot of time commuting between meetings. But this is just one example. The key here is to realize that there is a market for publishers and services outside of Facebook and the other social streams. But in order to do this you need to do something that makes you worth following directly, and this means going in the other direction than Facebook. What if we don't want to be a news feed? One of the problems we often come across today is that every publisher is focusing on the packaging of content, rather than the content itself. And this is what drives newsfeed thinking. A news feed is a stream of content, from which your audience don't really know what they will get. This is how newspapers have always worked. They are daily packages of content, but people have no idea what they are going to read tomorrow. 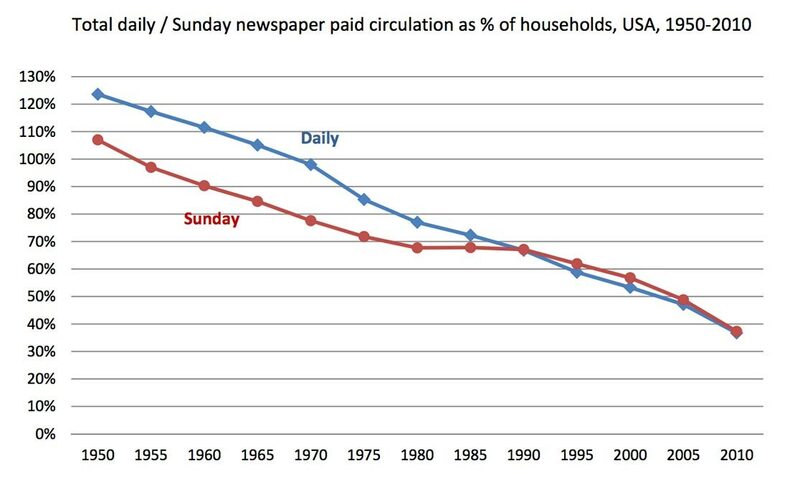 This model worked great in the old days when we had a scarcity of news, and when people read the newspaper merely to stay up-to-date. 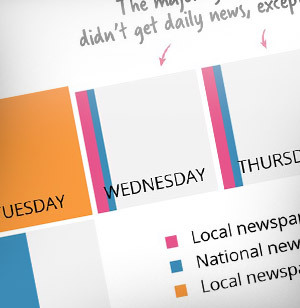 Packaging was centered around time: a daily paper would reflect the most important news of that day. This approach also works great when people don't really have a plan for what they want to read on a break or when they don't have a specific need. Outside of a specifically curated issue like the NY Times Weekend Edition does everyday news in this day and age really provide a differentiated product so that it matters if you're reading it from the Times, the Guardian or the Sydney Morning Herald? So, there is a gigantic market for publishers to focus on content where people have a need, and a specific set of expectations. Content that is specific and targeted. 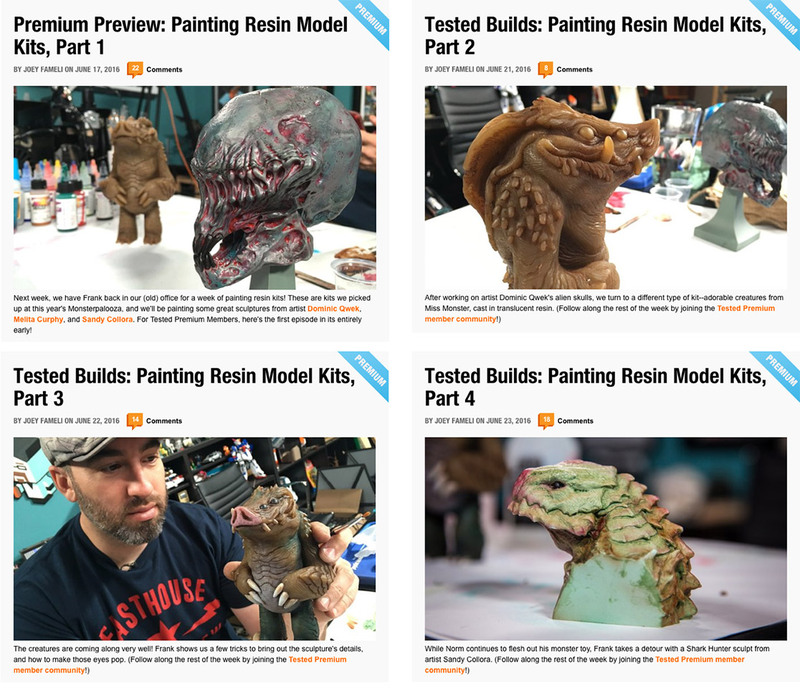 Tested has become a popular channel for model builders, as they have created a premium channel for high-end content designed to help model builders improve their skills, and to give people an inside look at what's happening within that community. They are combining content that teaches with content that provides access to a community of people who have this very specific need. This is what it means if you don't want to be a news feed. And we are seeing more and more examples of this. The challenge is that we are still living in a world of abundance. So, publishers like Tested has to really stand out before they are able to get people to pay for this content. This means that they can't just think about this is journalists. They have to be the experts that people can connect with. They have come up with great ideas, and they need the enthusiasm to inspire people. Can you imagine, for instance, if Tested's people couldn't build and paint their own models? It would be a joke, and nobody would ever subscribe. This is a new way to think about journalism and innovation. 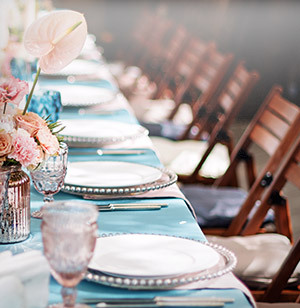 In the past, we have focused our innovation on the formats and just added features to that. But today, you have to innovate yourself. This is also true for when the focus moves away from the content. We know what compelling digitally native content looks like and can sketch out the economics of developing that type of content today. 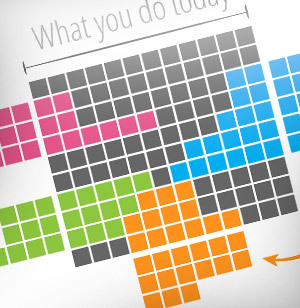 The challenge most media companies face is that their organizations are designed like this. They are instead designed for the status quo of print. And even with the new focus on digital, the basic culture remains the same. If the Wall Street Journal was started today instead of 127 years ago its newsroom would likely be leaner and its staff would have a more diversified set of skills. Yet, since it is 127 years old, it needs to straddle yesterday's expectations and the realities of today's monetization options, readership levels, and cost of production of each feature (something that newsrooms of the past would be aghast by, highlighting the need to completely separate the journalism end of the paper from its business one). What if news isn't even the product? Publishers are used to thinking about content as just a list of articles that people can sit down with. But what if that isn't how you define the product? Think about exercise, for instance: In the past, exercise was approached by publishers publishing 'health magazines', where people could sit down and read articles about different aspect of people's health. And like with the news feeds, you really had no idea what the magazines would be focusing on next month. This doesn't really sound like a good way to do that, does it? So, what we see today is that health articles have taken a backseat to exercise apps and tools. 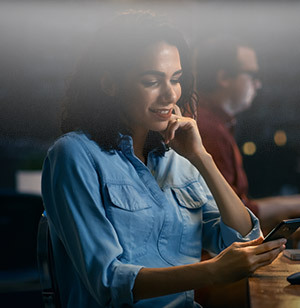 Instead of sitting down and reading an article about better high-intensity workouts, you can watch a video demo or have a personal trainer yell at you from your phone while you're exercising. This is the future of health publishing. The problem we have today is that the tech companies are very good at creating tools where you can track and measure your performance, but you still motivate yourself and turn that data into something useful. This is where we as publishers could come in. We are very good at providing context around a story: telling people about why exercise is important, coming up with ideas, and interviewing people who can help us understand and present this information to our audience. So what if you could combine the two? What if I could set an exercise goal and then have the combined influence of the raw data, the reported exercise routines in the apps, and the inspiration, insight and data analysis from journalists and experts along with a community of fellow readers... all in relation to my own performance. There is massive potential for innovation here. In addition to considering the very packaging of content itself it's also worth exploring ways of monetizing by-products of a story. While there was no room for surfacing some of the behind-the-scenes work in a space-constrained print edition, digital channels have completely done away with such restrictions. Perhaps the best example is the NYT's Times Insider series which highlights how the news gets made in their newsroom. Take for example their coverage of the terrorist attack in Brussels in April 2016: We're shown a timeline with photos and callouts to when and how individual journalists, different global bureaus, and in-office staff were engaged, how they collaborated, and how the content package for that day was created. There is so much more nuance and opportunity for engagement, as well as an appreciation by their audience on how complex it is to ensure their customary level of reporting. Another excellent example of turning by-products into monetizable assets is ProPublica's Data Store. ProPublica realized that the data they used for their own articles could also be of interest to other newsrooms, public and private organizations, academia, etc. As such, ProPublica has now created a marketplace for these data sets. It's a really smart way of reusing the data and turning it into a paid-for public service. It's a model that is similar to other successful data services, like Statista excellent portal for statistics. And there is a ton of potential here, not just for ProPublica, but for every publisher and all the data we work with every day. There is also a lot of missed potential in how publishers use the data internally. Why, for instance, does a story look the same for one-time visitors and loyal readers? In the travel and hospitality industry, we are all used to the idea of using passenger loyalty as a way to influence the experience you have. We see award tiers for frequent fliers complete with perks like quicker screening lines, airport lounge access, and the occasional seat upgrade. Contrast that to the one-time flyers who are presented with a more basic experience: with non-reclining seats at the back of the plane, boarding zone Z and a myriad of luggage restrictions. So while you'll be getting to your destination on the same flight as a frequent flier your experiences during the flight will be quite different. Yet, with media, someone who starts their day every day with a particular news outlet is treated largely the same as someone who just happened to click through from an aggregator or a social site. Instead of waxing poetic about shifting consumer habits, perhaps our first step as an industry should be to improve what our premium product looks like for the most loyal reader. We've been approaching users from a one size fits all standpoint for far too long, in spite of the availability of a variety of analytical tools, expensive commissioned market research and audience profiles. It's time we acknowledge that a loyal user is worth far more and should be approached as such. While the innovation topics we have discussed in this article are interesting, the biggest obstacle for most media companies is the act of innovation itself. This is not unique to the media industry. Most established companies shy away from innovating because of the commercial risks involved and this challenge is not limited to media. While it may not be obvious at first glance, there are many similarities between media and retail. Perhaps the most egregious one is how both industries have been similarly threatened by the transition to digital, and how both have had to deal with maintaining increasingly expensive legacy assets and business operations while they're building out newer business models and solutions. Just like national and local media outlets, many large retail fashion brands owned and operated their flagship stores, but then worked with a network of local franchises who carried the brand's clothes. This approach gave everyone more flexibility. The fashion brands don't have the risk of managing hundreds of individual stores, the local franchise owners can better adjust to their individual markets, and the consumer still has a local store that feels like a big brand store close enough to home. This was a great model until the internet and ecommerce came along. Many fashion brands treated the internet like just another franchise store: in the case of a famous US retailer all web orders were initially fulfilled by employees hunting in the racks of their San Francisco flagship, packing the orders and dropping them off in the mail. All the local franchise stores make commissions on each sale made in their store. But who gets the sale for online orders? Does the San Francisco store get credit for an order shipped to Seattle? Or should we route the consumer to the Seattle store's online storefront? Luckily we didn't get thousands and thousands of versions of the same online store; instead we got distribution centers capable of processing more orders. As a secondary effect many of the local stores packed up shop - and with them steady, predictable regional revenues also began to drop. When the internet arrived and people started demanding to buy clothes online, most fashion brands were stuck between decimating the market for their franchise owners, or creating a web shop experience that made no sense to anyone. In a way, the store was a product too - yet it didn't occur to many to reimagine the local stores and turn them into outlets for marketing, events, and experiences. As a result, many fashion brands spend years talking about the need for innovation, but never actually doing it. Meanwhile massive digital companies like Amazon or ASOS, along with 100% operated fashion companies like H&M took over the internet. And while this conflict between innovators and old-schoolers is happening, consumers are undergoing the biggest change of all: their shopping habits have changed to favor brands who are digital natives, just as media consumers have shifted to digital channels as well. And today, many fashion brands that used to have hundreds of local shops and a very profitable future are now struggling to distinguish themselves and even survive in the digital world. This is exactly what has happened to the media industry as well. Instead of franchise owners, we have newsstands and print circulation, but the concept is the same. Every single thing we change will have a negative impact on the old market, and the new will not be able to take over as quickly as the old market goes away. The challenge today is that there isn't just one solution that fits all. Instead, there are many different solutions that we can turn to, each one different for different media outlets. For some publishers it'll be a combination of solutions that, when combined, creates a sustainable model; for others, a single effort may prove to yield the best result. Are we treating loyal users and casual visitors the same? If you can, watch what a typical user does on your properties and how they interact with your content. It's easy to get stuck in the bubble of one's own media consumption and assume it's that way for everyone. If you have a paywall go through your subscription flow yourself with the same scrutiny you'd apply to e-commerce sites where you do your own shopping or to travel sites where you book your holidays. 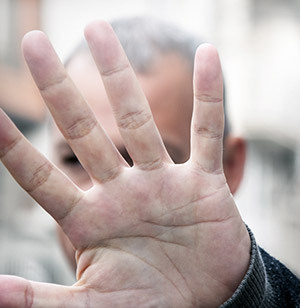 If you monetize through ads, don't use an ad blocker: are you seeing too many ads? Are they visually distracting or detrimental to your experience? Have that regular user experience front and center as you think through what interacting with your company looks like for users day to day. 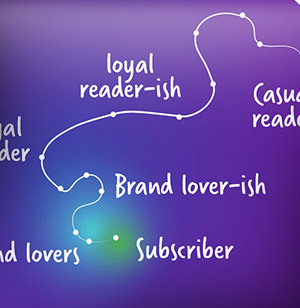 Do you know what characteristics distinguish a loyal reader from a casual one? Is it demographics, interest in a certain topic, physical location, amount of content consumed over a given time? With that knowledge, model out how the experience can be improved for that type of user and go from there. Are there any monetizable by-products? If we had the luxury to design a news product today completely from scratch, with no legacy restrictions or influences, would it look like digital newspapers do today? Perhaps it would be more like email, delivered directly to someone's inbox and customized based on user preferences. Perhaps for some users it would resemble a more passive, radio-or-TV-in-the-background type of experience where a playlist is pushed to a user's device at the start of the day. So why restrict our monetization options to ad support, subscription, or some mix of both? What other by-products of newsmaking would bring value to high-value users today? In the case of the New York Times, they're creating special content for their most valued subscribers through the Times Insider series. So far it contains features on how the news is made (a sort of behind the scenes look at what it takes to produce the news daily) and events that feature members of the newsroom and newsworthy experts. This type of content is likely not going to move the needle for a casual reader but makes a world of difference for someone who is highly engaged. Perhaps another way would be to not think of yourself as a publisher at all, but instead as an enabler. If you have a DIY magazine, is the value of what you do, to write articles, or to help people build things? What about using your influence and reputation to create a community where people can showcase and market what they create? 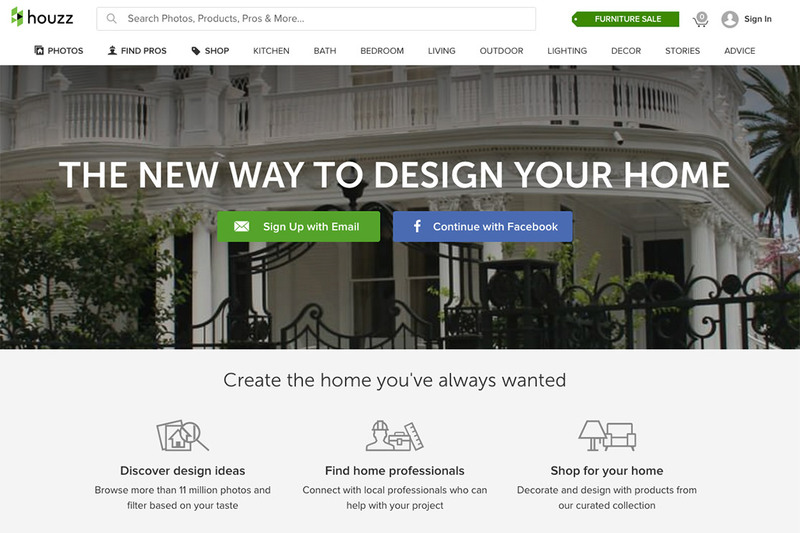 One example is Houzz, where they have combined inspiration (articles), with a professional network and a market. So, ask yourself, is your future merely to publish a magazine, or is it to be something more? 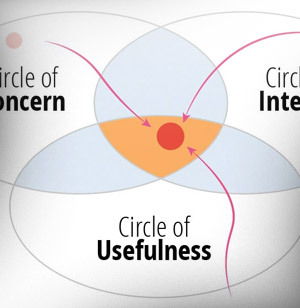 How do we internalize innovation? 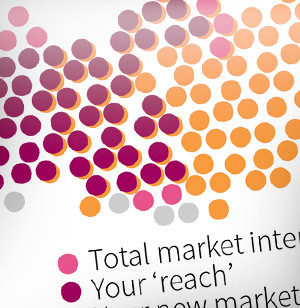 Media companies have traditionally innovated mainly via acquisition and through seeking scale. With user consumption methods changing so drastically over the past decade, the shift in media consumption is happening far quicker than can be countered with acquiring more of the similar type of media asset. Thus true innovation is needed: and not in the 'let's run an innovation workshop once a year or build an internal innovation taskforce'. Innovation rarely fails at the idea stage - it fails when it needs to be effectively executed and inserted into existing processes, teams, and technologies. To truly innovate we need to rethink the skillset. My challenge to every media executive is to go out and talk to peers outside of media: the consumer shift is so pervasive, there are very few industries that remain immune to it (and even there the question is for how much longer). Rather than think in terms of audience size, reach and exposure, terms like lifetime value, customer journey, and customer profile are becoming more and more applicable in media, too. But these are still not part of the standard vocabulary of many media executives who grew up in print, television, or radio. 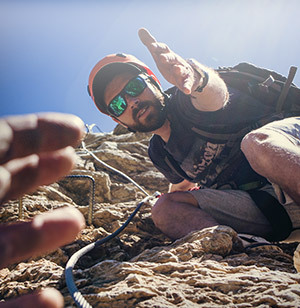 Approaching things the way we've traditionally approached them and applying strategies that have worked in the past is no longer a guaranteed or even viable commercial strategy. Building an innovation culture is a necessary investment and needs to be on the top of your mind from the C-suite down to the proverbial mailroom. People will continue to consume media, in fact people consume more than ever for both information and entertainment. What's up for grabs now is exactly what type of media that is in this mix. We can't rely on the same split of TV, film, and literature we've seen back in the day when Facebook, Snapchat, and video on demand didn't exist. More media channels means more competition but also a necessary rethink of packaging, distribution, monetization, and production. Without that, some media outlets may soon find themselves going the way of the typewriter, the horse carriage, and ...well... the Gutenberg press: all artifacts of history that enabled subsequent explosive growth and propelled us forward, but have since been replaced by more efficient systems and more advanced choices. Perhaps this is the natural role that many notable media houses must now play, although, selfishly as media professionals and aficionados, we hope that's not the case and that there's still time to evolve.